This month, two Coilhouse photographers – Lou O’Bedlam and Allan Amato – launched two very different Kickstarter projects – This is Us, Together and Illuminate Parkinson’s. Both Lou and Allan have been contributing to Coilhouse since Issue 01, and each has a project that’s worthy of your attention and support. Lou is good at photography and, it seems, bad at relationships. In the cute Kickstarter video, Lou’s ex-girlfriend appears to tell you all the ways in which Lou really, really needs help in the love department: apparently, he’s not a good communicator, doesn’t take criticism well, and thinks that the “silent treatment” is an effective way of talking about problems. To remedy these issues, Lou has decided to embark on a 30-day journey to visit 12 cities to interview as many couples as he can about what makes their relationship work. 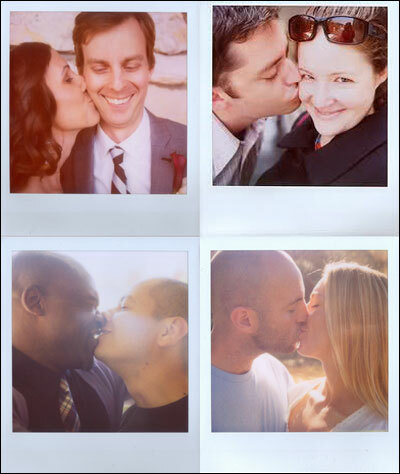 In the process, he will document the couples he meets, learn from them, and produce a beautiful coffee-table book. The Kickstarter has only 38 hours to go; support his efforts here! When Coilhouse cover photographer Allan Amato learned that his friend Becky has had Parkinson’s Disease since she was 29, he was shocked. Like many, he was under the impression that Parkinson’s was something that only afflicted the elderly. Allan began to create portraits of other young Parkinson’s sufferers. 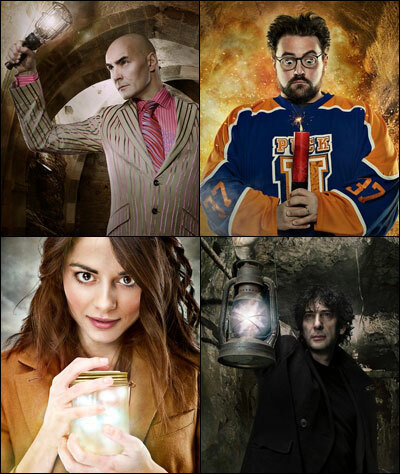 Artists including Grant Morrison, Neil Gaiman, Terry Gilliam and Kevin Smith have teamed up with Allan to create a series of images to “illuminate Parkinson’s,” as can be seen above. He now hopes to take his portrait series of Parkinson’s sufferers on the road, and recently launched a Kickstarter page to help with the costs associated: making large prints, shipping, and creating a book. Allan, you’re amazing and I love that you use your talents and connections to help others. I’m spreading the word and plan to become a Backer asap!